Persistently increased blood levels of estrogens are associated with an increased risk of breast cancer. Selective estrogen receptor modulators (SERMs) are a class of compounds that act on the estrogen receptor (ER). Several clinical trials have demonstrated the effectiveness of its prophylactic administration. Incidence of invasive ER-positive breast cancer was reduced by SERMs treatment, especially for those women with high risk of developing breast cancer. In this study, we reviewed the clinical application of SERMs in breast cancer prevention. To date, four prospective randomized clinical trials had been performed to test the efficacy of tamoxifen for this purpose. Concerning on the benefit and cost of tamoxifen, various studies from different countries demonstrated that chemoprevention with tamoxifen seemed to be cost-effective for women with a high risk of invasive breast cancer. Based above, tamoxifen was approved for breast cancer prevention by the US Food and Drug Administration in 1998. Raloxifene was also approved for postmenopausal women in 2007 for breast cancer prevention which reduces the risk of invasive breast cancer with a lower risk of unwanted stimulation of endometrium. Thus, raloxifene is considered to have a better clinical possesses as prophylactic agent. Several other agents, such as arzoxifene and lasofoxifene, are currently being investigated in clinic. 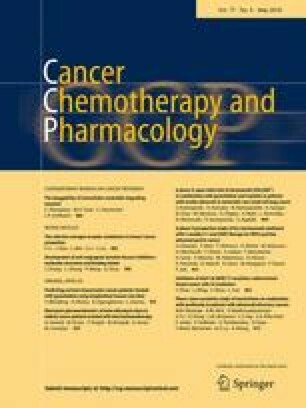 The American Society of Clinical Oncology and National Comprehensive Cancer Network had published guidelines on breast cancer chemoprevention by SERMs. However, use of tamoxifen and raloxifene for primary breast cancer prevention was still low. A broader educational effort is needed to alert women and primary care physicians that SERMs are available to reduce breast cancer risk. Fangxuan Li and Jinli Dou have contributed equally to this work. This work was supported partially by the Tianjin Natural Science Funds (13JCQNJC12700), Tianjin Medical University Natural Science Funds (2013KY02), and National Natural Science Fund of China (81502309).